What I used to say about anime and manga fans in North America 10 years ago can now be said about videogame fans today: the kids just don’t know how good they have it. Simply put, there has never been a time in history where gamers have had more access to so many games inspired by and featuring characters from so many popular Japanese franchises. 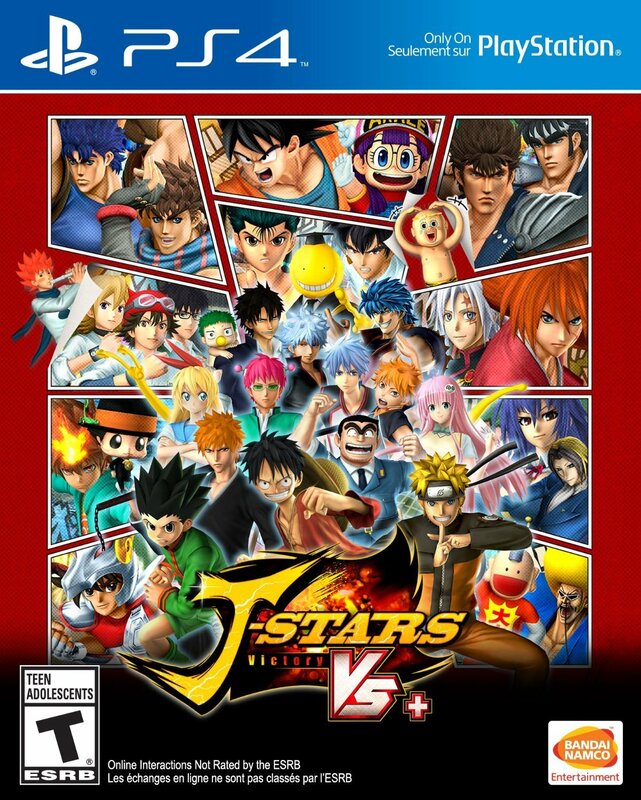 In that regard, Bandai Namco’s recent release of J-Stars Victory VS+ for PS3, PS4 and PS Vita in the West serves as both an enthusiastic, celebratory acknowledgement of anime and manga’s popularity in the West as well as an almost shameless capitalization on their brand recognition in the public consciousness, as the game itself is essentially a $70 CAD re-release of an arena-fighting game that has already been out in Japan for well over a year. So is this manga mashup really worth the high entry price? 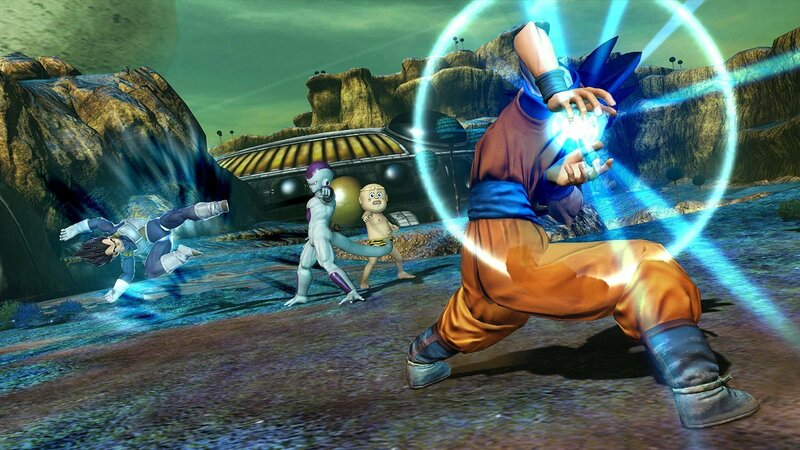 While crossovers in fighting games have been common since the mid-90’s, J-Stars has been coined the “Ultimate Jump Game”, as it is the first to bring together over 50 characters from 32 comic book series that have been featured in the popular Japanese magazine Weekly Shōnen Jump (both past and present). 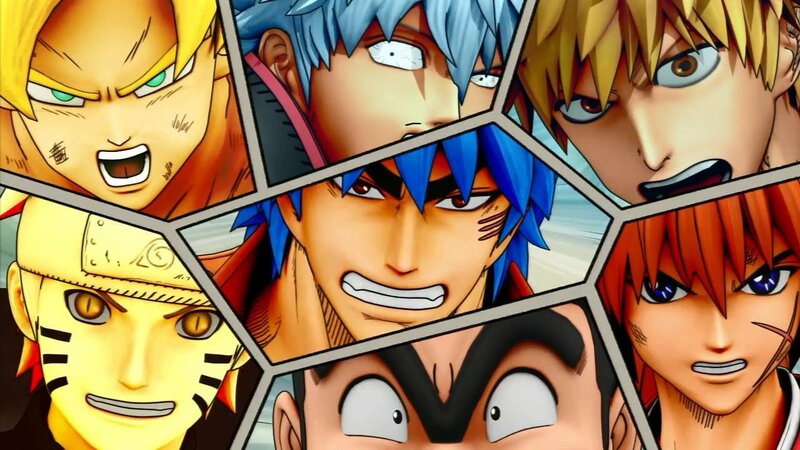 As the magazine itself has been around for over 45 years, J-Stars boasts one of the most diversely bizarre rosters ever seen in a fighting game. 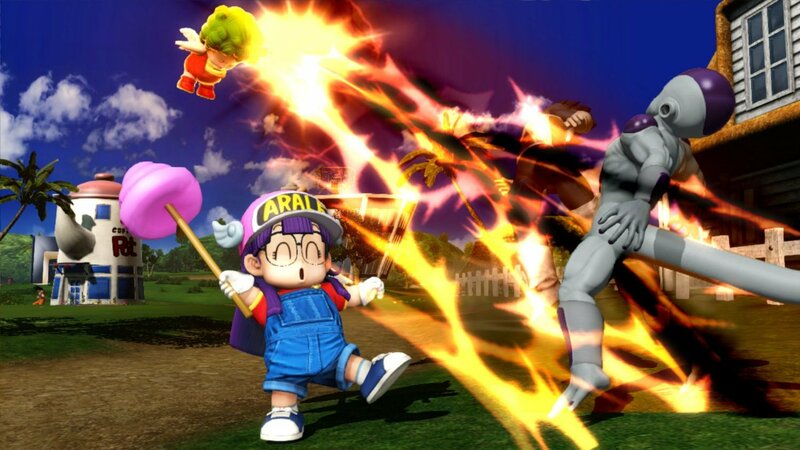 It boasts many characters that North American gamers have likely never heard of, such as Dr. Slump’s naïve girl robot Arale Norimaki and scheming neighbourhood cop Kankichi Ryotsu against modern anime icons like Naruto, Dragon Ball Z’s Son Goku, Luffy from One Piece, Fist of the North Star’s Kenshiro and Ichigo Kurosaki from Bleach – and those are just the characters players are most likely to recognize. Many of these protagonists’ friends, enemies and frenemies have also tagged along for the ride as playable characters, and even more are accessible during fights in asupport role, bringing even more variety to the proceedings. J-Stars dares to throw all logic and plausibility to the wind in order to fulfil every manga and anime fan’s dream by asking truly essential questions like “who would win if Himura Kenshin and Ichigo crossed swords?”, or “if Kenshiro, the Joestars and Toriko all met on the battlefield, would they notice how eerily similar they all looked to one another before Ken rips the others to bloody bits with his superior Hokuto Shinken arts?” (SPOILER: They don’t notice at all and this is a Rated-T game, so sadly, nobody explodes into satisfying giblets). 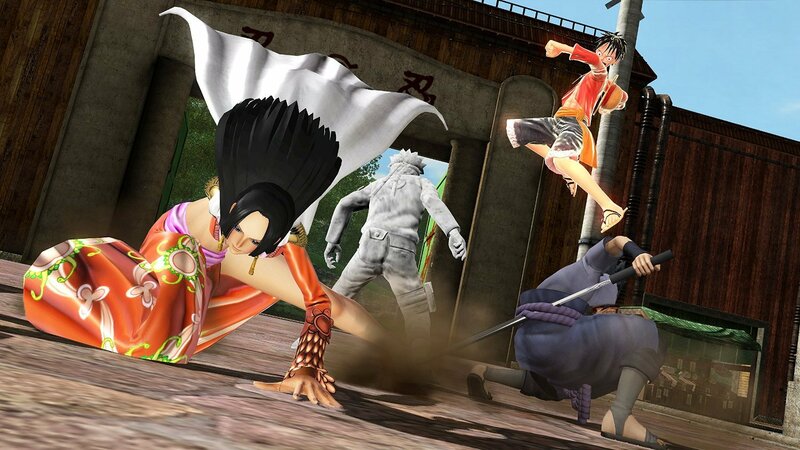 Regardless, players will be entertained by the ridiculous matchups that they can create in J-Star’s five gameplay modes, J-Adventure, Victory Road, Free Battle, Online Battle and the Western-exclusive Arcade Mode. The meat of J-Star’s content resides in J-Adventure mode, where players can embark on one of four chapters featuring a trio of pre-determined characters aiming to fight their way as a team to the top of the heap in the aptly-named Jump Tournament. The dialogue during the obligatory talking-head scenes between fights as well as during Jump World’s lengthy exploration sequences may vary, but regardless of which team you choose (I went with Naruto, Yusuke of Yu-Yu Hakusho and Gon of Hunter x Hunter) players will ultimately find themselves going up against every other character in the game, with many of them ultimately joining their team as playable and/or supporting teammates. The RPG-style overworld’s mode of travel (you eventually get a flying ship) and repetitive fetch quests guarantee that players will be facing opponents multiple times through both staged and random encounters, and while they soon begin to border on tedious, they provide the player ample opportunities to learn the intricacies of each character, special move, matchup, and arena stage, as well as gain fight money and collectible cards for their J-Customize card deck which can give their team additional buffs and advantages in battle. In short, playing through one or more campaign chapters is good prep for the game’s other modes where players will have to lean much more heavily on their customized rosters and decks. Regrettably, games that promise as much variety as J-Stars generally fall short in other areas, and while there is a surprising amount of moves and strategies that players can employ (the load screens are filled with helpful tips and often reveal moves and combos specific to characters currently in the player’s active trio), the basic gameplay mechanics themselves are a bit weak and simplistic overall. For example, switching targets in the battle arena requires the player to tap L1 (rather than allowing the player hold the button and flick the analog stick to switch to the other target) and the targeting is almost always at odds with the terrible game camera, resulting in many a game-changing special move wasted on the wrong target or being whiffed entirely. 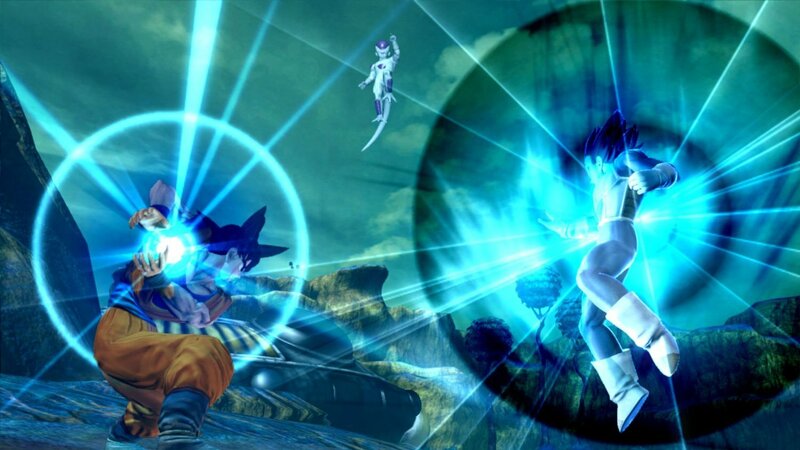 Similarly, the act of dodging attacks (R1+L3 in a direction) feels too stiff to be reliable, so players will find blocking (R1) preferable, but blocking combos also drains precious stamina needed for special moves and will fail if the player does not have enough stamina to withstand the entire combo string. It would have been nice if players could sacrifice a chunk of their stamina to break the combo à-la Killer Instinct and punish combo spammers, instead of having to solely rely on support characters—who often show up late and out of range when they are needed most—as enemy attacks can push characters a good distance across the screen. The overall result is arena combat that frequently feels more akin to a game of rock-paper-scissors than a well-designed fighting game. That being said, the Team Victory/Triumph/Effort power-up sequences and the ensuing Ultimate Attacks where characters unleash their most powerful moves are amusingly spectacular and satisfying when they connect with and decimate their targets, and the key to defeating a tough opponent can often be as simple as switching up your team. It’s just a shame that developer Spike Chunsoft didn’t put in the same effort into translating what each character says as he/she performs his/her screen-filling special move, given that just about all other dialogue and text in the game was. 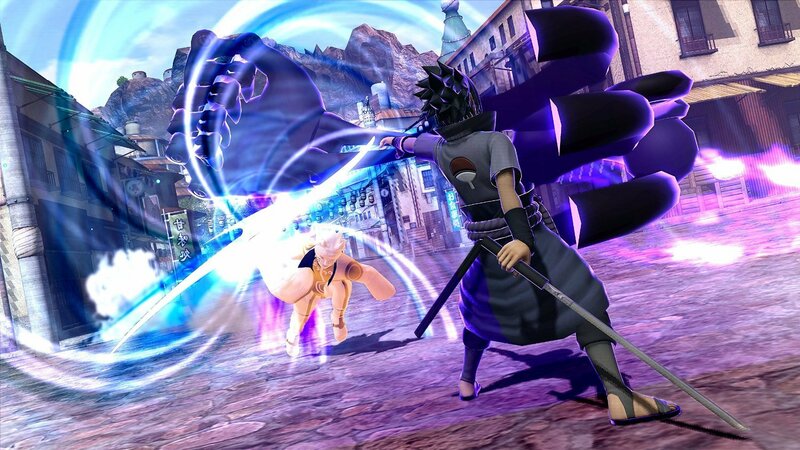 In the end, J-Stars is another case of a Japanese game that preaches convincingly to its chosen choir. Mainstream consumers will likely be turned off by the game’s paper-thin storyline, its limited number of stages, and game mechanics that pale in comparison to purer fighting game experiences, but enthusiasts with sufficient time on their hands will easily sink countless hours into the campaign as they unlock and master all their favorite characters, and thanks to the game’s generous support for local 2-player split screen and 4-player online play, they’ll have the option doing so among equally enthusiastic and dedicated peers. Is it truly the “ultimate” game for Jump fans? Perhaps not, but it’s a decent start, and it definitely won’t be the last. 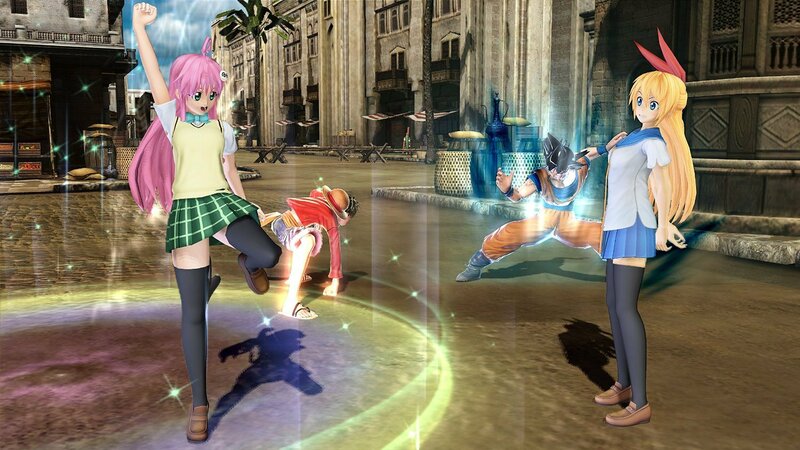 In the end, J-Stars is another case of a Japanese game that preaches convincingly to its chosen choir.